I've got some left-over homemade pineapple paste too, and thinking of making the tarts as and when i feel like eating them! I'm absolutely agree with you, homemade pineapple paste is the best! 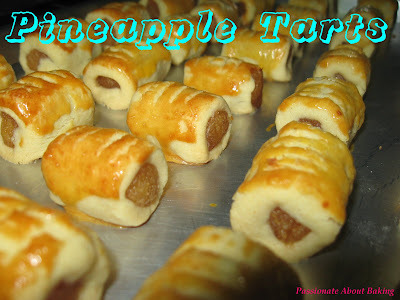 Pineapple tarts! How wonderful! You don't see this combination very often, and that's a real shame. These little treats look so delicious! Oh, you so lucky! Still have homemade pineapple paste. Wish I had too!